Fancy an informal chat with the local police? They are a friendly bunch and every Wednesday will be in Costa Coffee in the village for an opportunity to meet with local people. The Police Neighbourhood team take a genuine interest in what’s happening in the area, so why not pop in and say hello hello hello. 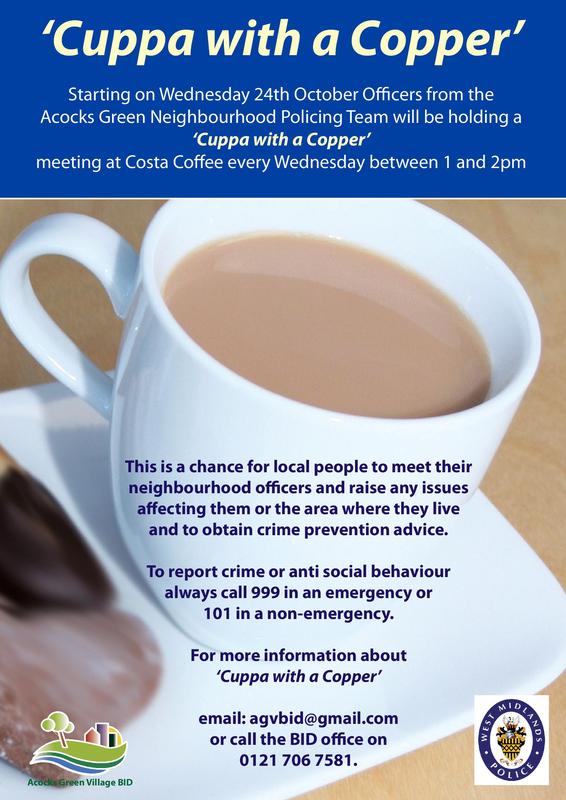 This entry was posted in Events and tagged Acocks Green, coffee, costa, PCSO, police, police meeting, tea, West Midlands Police. Bookmark the permalink.